Far East racing fans get the chance to immerse themselves in the best quality action on offer globally in coming weeks. The impact of the G1 Japan Cup on international racing in its 36-year history is beyond dispute, and its influence on breeding has also started to show, particularly through the exploits of former champion Deep Impact. So, Sunday's 37th running will be of great interest, with conditions again expected to favour top-of-the-ground specialists capable of excelling in a fast-run mile-and-a-half. 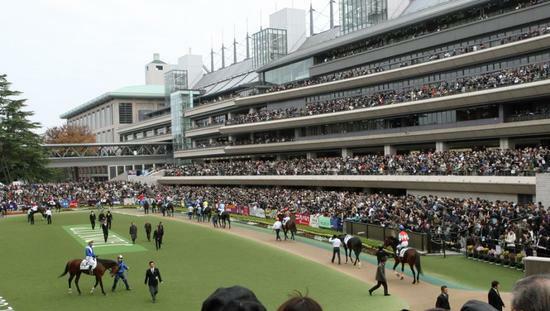 Read more about the major Japan Cup contenders in this column later in the week. But in the meantime, there is an opportunity to digest results from Sunday's Sha Tin meeting in Hong Kong, a fixture that serves as a 'Trial' day for the International Races on December 10. The weekend's most significant winner was Werther in the G2 Jockey Club Cup, over 2,000m, a performance that hinted that trainer John Moore had produced the Tavistock gelding a little underdone. Even so, Werther, ridden by Tommy Berry, knuckled down to some hard work in the closing stages and managed to get the better of the Tony Cruz-trained Time Warp to score by a neck. He will be all the better for it, and should be spot-on for the G1 Hong Kong Cup, over course and distance. One beaten horse worthy of note was Gold Mount, also trained by Cruz, and he would surely be better suited in the G1 Hong Kong Vase, over 2,400m on the big international day. The longer distance races were not the only ones to offer valuable clues. The appropriately-named Mr Stunning, a son of Darley stallion Exceed And Excel, was impressive in winning the G2 Jockey Club Sprint and will be a major contender in three weeks. But mention should be made of well-regarded Lucky Bubbles, who was so badly locked away on the rails that he never saw daylight for the entire length of the home straight. There will be a fine collection of international contenders competing in Japan and Hong Kong, thus emphasising the expansion of racing in both countries in recent years.